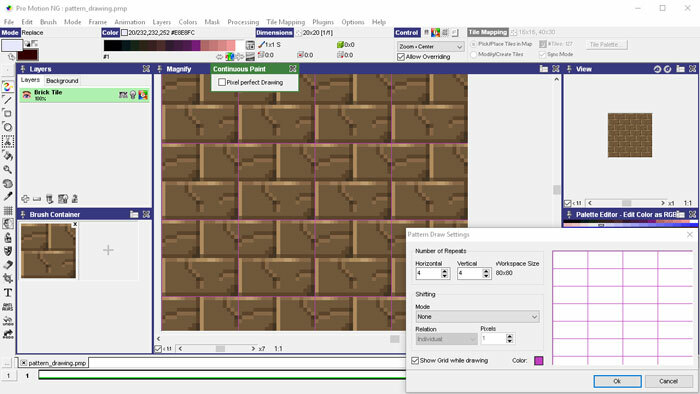 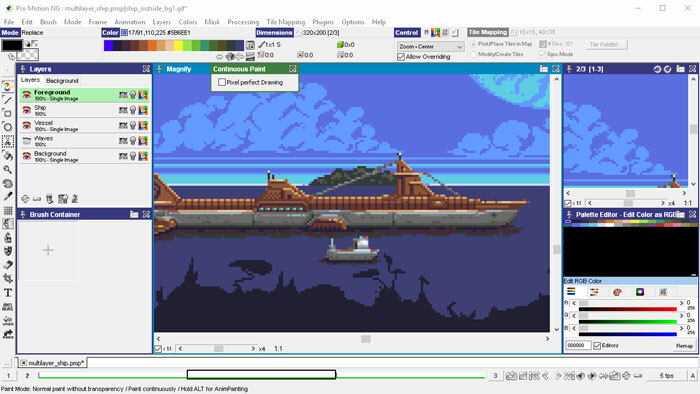 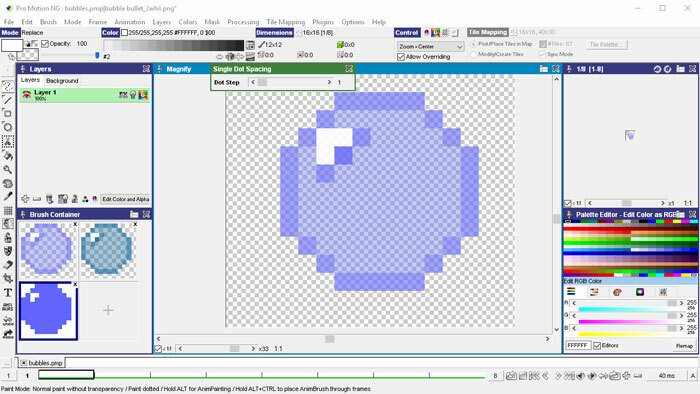 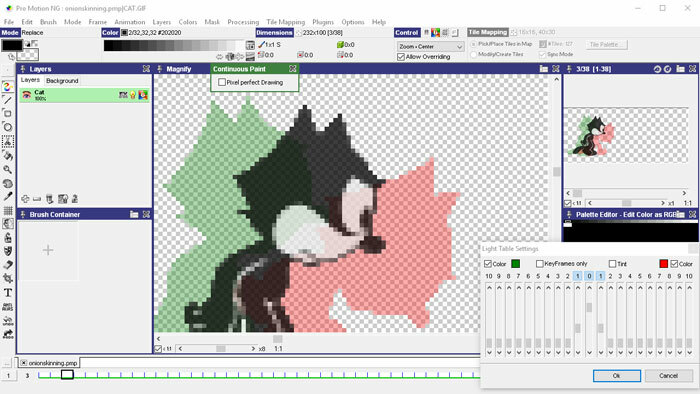 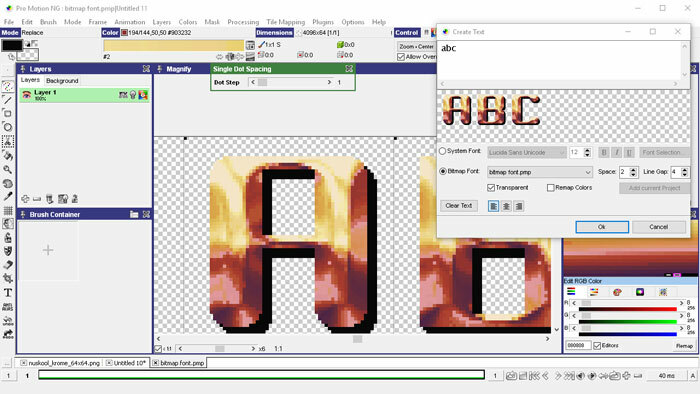 Pro Motion NG is a drawing software to quickly create pixel precise images, animations, sprites, tiles and level maps as used in games. 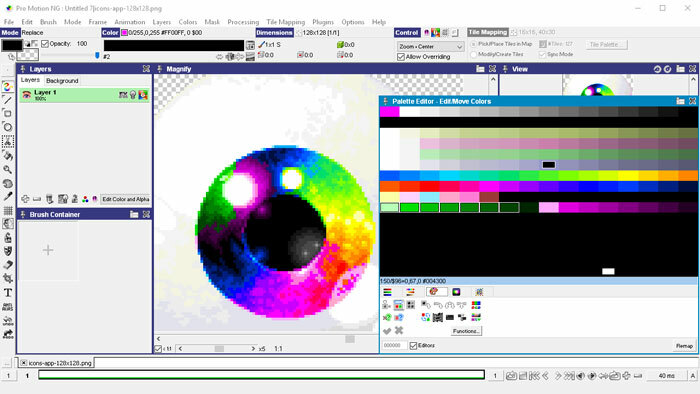 It is ideal for artists working on detailed graphics as required for mobile systems like smart phones or handheld video game devices such as Nintendo DS or Sony PS Vita. 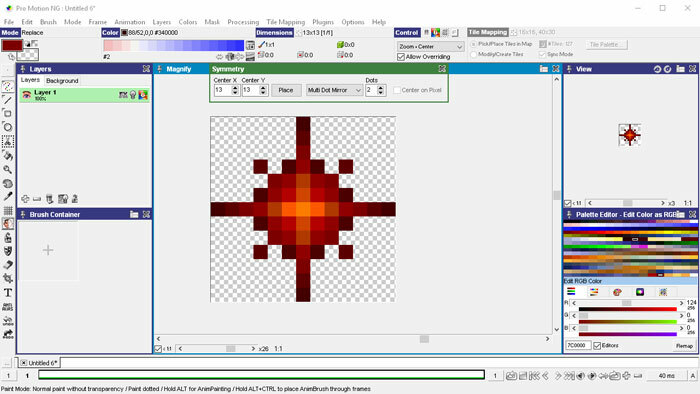 It also suites well to create light weight graphics for the web or web based applications and games. 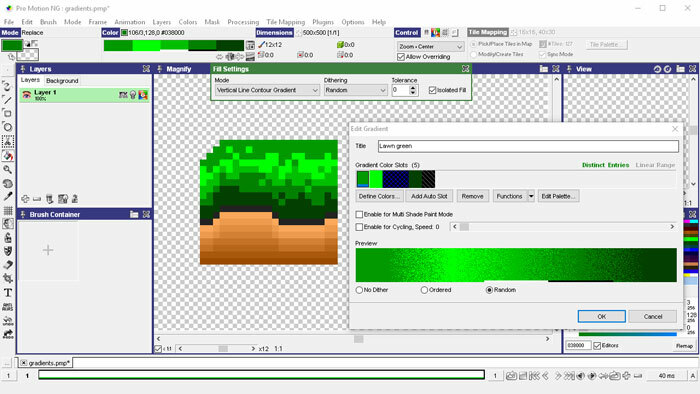 Use it as sprite, bitmap or tile map editor with common game creation engines or frameworks of your choice like Unity, Game Maker, Havok, App Game Kit, Marmalade, Unity, Clickteam Fusion and many more. 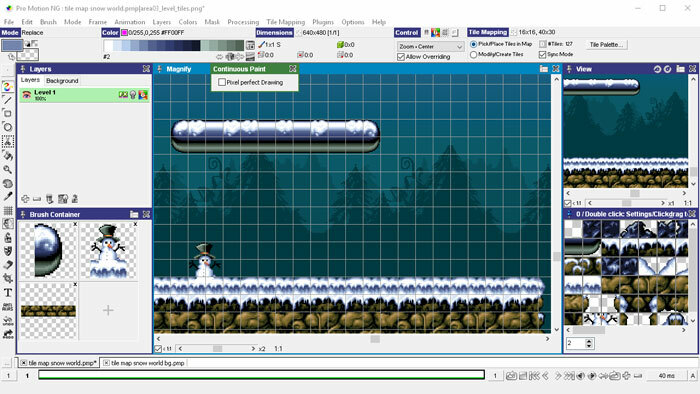 With Pro Motion NG there is also a feature limited Free Edition that can be used free of charge.